North Wind is qualified and proficient in the area of waste management. For example, at the U.S. Department of Energy’s Idaho National Laboratory (INL), North Wind has provided hazardous waste determinations, waste packaging, data validation and verification, characterization and profile preparation, and head space gas sampling and analysis. North Wind examined approximately 6,000 cubic meters of transuranic (TRU) waste from the INL prior to shipment to the Waste Isolation Pilot Plant (WIPP) in New Mexico. 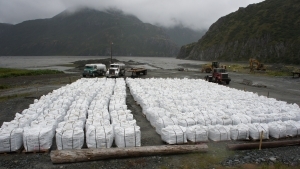 North Wind is skilled at creating Sampling and Analysis Plans, Quality Project Plans, and shipping documentation for projects involved with waste shipment and disposal. © 2019 North Wind Group | ALL RIGHTS RESERVED.